Microsoft's Xbox launch in 2001 marked a turning point for the home video game console market and for the game industry as a whole, but it could have gone off much differently. Former Microsoft developer Seamus Blackley, who helped design and launch the original Xbox, and Oddworld Inhabitants' Lorne Lanning, who launch Munch's Oddysee on the Xbox in 2001, told GamesIndustry that Microsoft had considered giving the console away for free to undercut Nintendo. "At the time, Xbox thought that the core market was going to be casual. They were going to be the casual gamers' machine," Lanning said. "Now, that's why they approached us because they said 'we think you've got something that competes in that Mario space and we think Mario's the thing to kill ... We see that space. We want that audience. We love Oddworld so why don't you get on this bandwagon? And we might give the box away'." 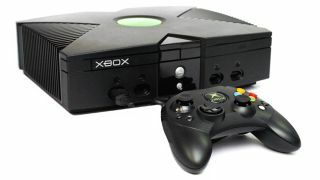 Blackley added that Microsoft also considered launching the Xbox as a game console but later forcing it to run Windows - a ploy to get the then-unpopular OS into homes - as well as focusing it on movies instead of games, or only letting it play internal Microsoft-developed games. Thankfully none of that happened, and today you can use Internet Explorer on your Xbox One to read more of TechRadar's blips. Win?